There are three products in this holiday collection: Refining Eye Serum, Balancing Face Serum and Deep Moisture Repair for Face. This collection is offered together for the holidays, in a cute blue and white box tied with ribbon and filled with raffia. It has everything you need to keep your skin plump and hydrated throughout the winter and even the summer! This serum hydrates and corrects delicate skin around the eye while fighting off puffiness and dark circles. 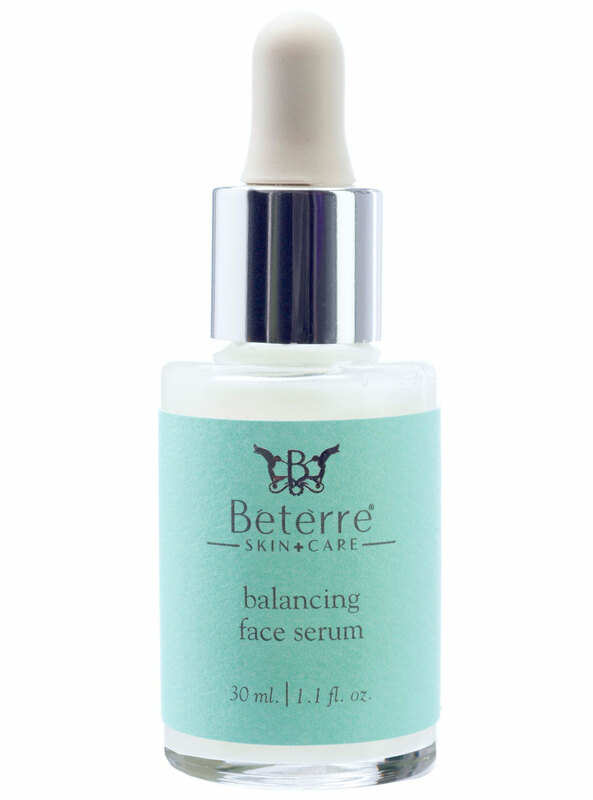 It is a soft, light and moisture rich serum that contains green tea and cooling cucumber to help reduce puffiness. Yarrow, caldendula and arnica are effective on dark circles. Apple stem cells can help diminish the appearance of fine lines. Hyaluronic acid and natural glycerin keep tender, vulnerable eye skin moist and smooth. For all skin types. 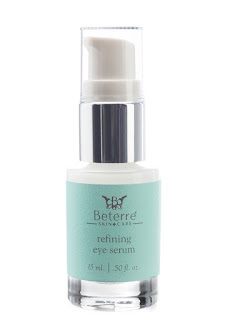 Works great at keeping eye looking soft and free from puffiness and dark circles. Love this serum! 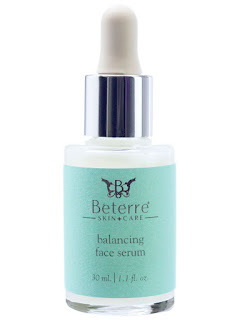 This serum hydrates, relieves & repairs stressed combination skin. This silky serum was formulated for combination skin that needs moisture but may be prone to breakouts (like mine). Its firming formula with cucumber and milk thistle goes on cool and leaves skin super hydrated and smooth. A blend of hyaluronic acid and natural glycerin retains skin's moisture leaving it supple an soft while Vitamin C helps to brighten the complexion. Skin Type: For Oily, Dry or Combination Skins. Provides clean moisture that does not clog pores and helps to balance oily skin, all while not promoting break-outs. I love this serum because in the summer my skin is prone to breakouts and this gives my skin moisture while avoiding the breakouts. It is great for oily and acne prone skin too. It also helps to soothe irritated skin. Transform and rejuvenate dry, stressed skin. This potent, silky and thoroughly hydrating formula is rich in a powerful blend of hyaluronic acid, peptides and amino acids. Vitamin B5 works with skin strengthening mineral copper, magnesium and niacin to help energize the complexion. The precious oils from camellia, sunflower and coconut soften and plump the skin. This synergistic blend of nature's fines ingredients improves skin's appearance for the most beautiful results. For dry, damaged and prematurely aging skin. This is a great anti-aging and moisturizing cream. It has the finest ingredients available in it to help dry, aging skin look younger again. I find it particularly helpful in the winter months when skin is at its most vulnerable and needs great moisturization and repair. This would be the cream to use. All of these go great with Bétèrre's Golden Elixir, which you will see my review of soon. This would be a great skincare gift for any skincare junkies. Or for anyone who needs a good skincare regime. Bétèrre is available online at www.beterre.com. 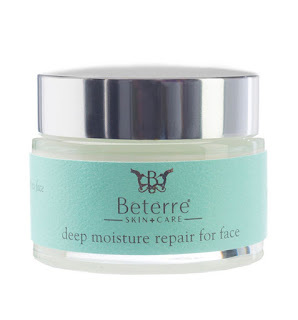 Like Bétèrre on Facebook:https://www.facebook.com/Beterre-SkinCare-1610411009244743/; Follow Bétèrre on Twitter:@beterreskin; Follow Bétèrre on Pintererst:https://www.pinterest.com/beterreskin/ and Follow Bétèrre on Instagram: https://www.instagram.com/beterreskin/https://www.instagram.com/beterreskin/.